Rock Band 4 player Chris Boddy, who plays on Xbox One under the gamertag Arandomrbplayer, has become the first player to play every drum song on Expert difficulty without making any mistakes. Boddy previously earned a full combo (FC) on all of the game’s hardest tracks on previous streams and videos, and only needed to complete easier songs. He finished off the remaining 65 songs in his library during an eight-hour stream, beginning with A Flock Of Seagulls’ I Ran (So Far Away), and finishing off with Still Alive, the song that plays over Portal‘s end credit sequence. Towards the end of the stream, you can see him scrolling through the entire setlist, with each song marked by the wreath awarded for an Expert FC. To put this feat into perspective, Rock Band 4 currently boasts 2,578 songs (nine of which don’t have drum tracks), and there are tracks from previous instalments that aren’t available on Rock Band 4 due to licensing issues, including the whole of The Beatles: Rock Band and its downloadable content. The only other player to FC every song on a single instrument is vocalist Mysario, who has perfectly sung all 2,561 songs with a lyrical component. Guitarist FreshPrinceOfRB is 44 FCs short of the feat on guitar, while bassist Seizou is 91 FCs away. Now, for Boddy, it’s just a matter of keeping up with the weekly DLC release cycle, but as he proved with Octavision’s Three Lives, one of the most technically complex drum songs yet, he’ll have no trouble doing that. Aside from the difficulty of completing some of the harder tracks, equalling Boddy’s feat is going to be a challenge simply because of the nature of licensing. As of writing, there are 268 tracks playable in Rock Band 4 that are no longer available for purchase or export, and are only available to those who bought the content before the song’s delisting. 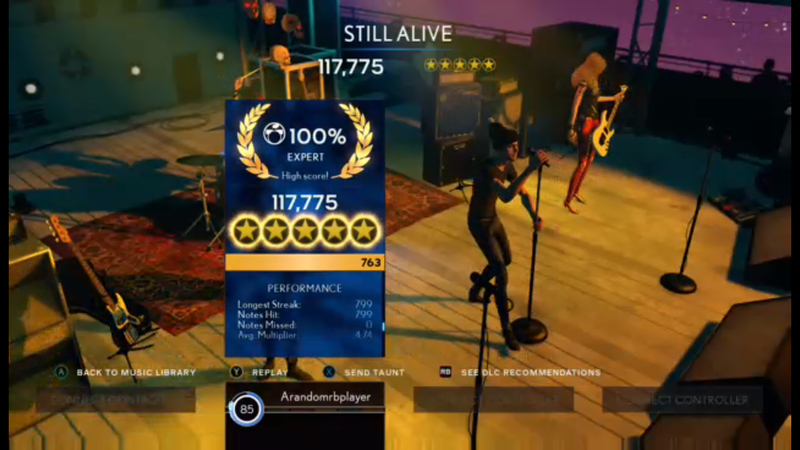 Harmonix has recently tried to bring older tracks to RB4 through its Rewind DLC feature, which was introduced in early 2017 to bring delisted songs from earlier titles to the current game. On top of that, songs from the Rock Band Network have been reintroduced as official DLC, adding to the total song count. All of these obstacles make it easy to believe that Boddy may stand alone at the pinnacle of Rock Band 4 drumming for quite some time to come. Well done, Chris!